British Beatles Fan Club: Pepper Rewind promises to be a night to remember! Pepper Foundation Children's Hospice at Home Charity fundraising event with Mark Lewisohn - regarded as the world's leading authority on the Beatles. ‘Pepper Rewind’ will be held at the Centenary Theatre in Berkhamsted HP4 3BG on Saturday, 14th December. 40mins train ride from Euston Station. Mark Lewisohn, regarded as the world's leading authority on the Beatles, will talk about the creation of the Beatles' Sgt Pepper album in 1966–67, illustrating his presentation with rare photographs, artefacts and audio/video. 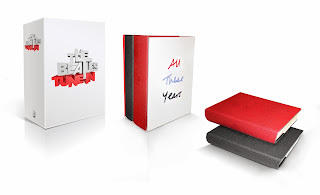 Mark’s recent book “Tune In”, the first part of his three-volume biographical history “The Beatles, All These Years” has just been published to great acclaim. Following Mark’s talk, Pepper musicians, singers and guests will give a special performance of the Beatles iconic album, directed by Pepper patron Robert Breakwell (who has just won the ITV Anglia Local Hero Award and attended the recent Pride of Britain Awards in London). We still have tickets to sell, so if any Beatles fans wish to attend we would be delighted to welcome them. Pepper Rewind will be held at the Centenary Theatre in Berkhamsted. Tel, 01442 507324 for tickets.